How should urban infrastructure be utilized? Or what do street lights on the streets exist for if nobody is there in the middle of the night? 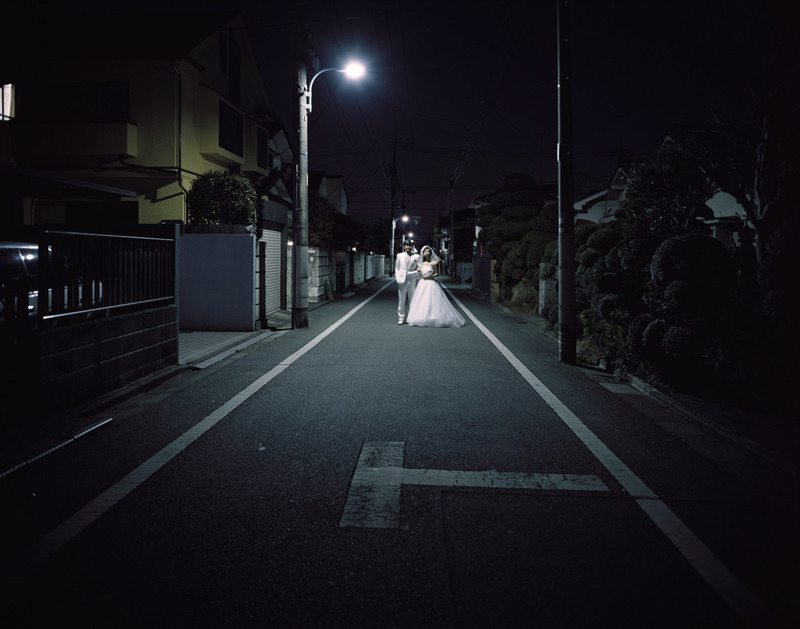 In order to explore the connection between a personal act – marriage – and a public space, I attempted to print a friend’s wedding picture on large format film only by exposing to a subtle light of street lights, which are urban infrastructure funded by tax. This project emerged at the time when my close friends, who have been going out for a long time, could not decide whether to get married or not and I suggested that I would get them into a wedding dress and a tuxedo to take a wedding photo for them. Since I did not know what to say to them anymore, this became a work that questioned myself on how I can relate to them in no small measure. In fact, once this work was completed, the two got engaged.